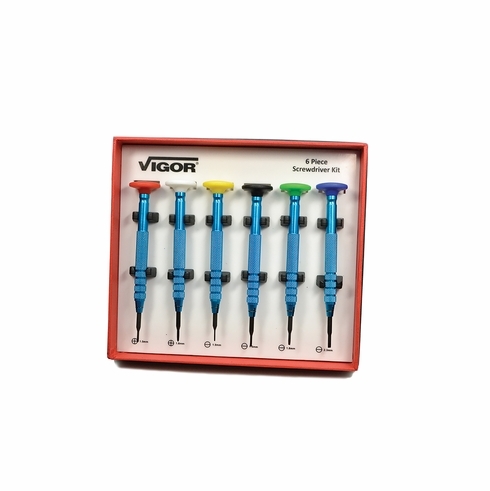 Blue anodized aluminum set contains 6 screwdrivers. 2 Phillips blades, 1.5 mm and 1.8 mm. 4 Flat blades, 1.0 mm, 1.5 mm, 1.8 mm and 2.3 mm. All blades are double-ended. Knurled handle provides a sure grip. Color-coded heads makes size identification easy.